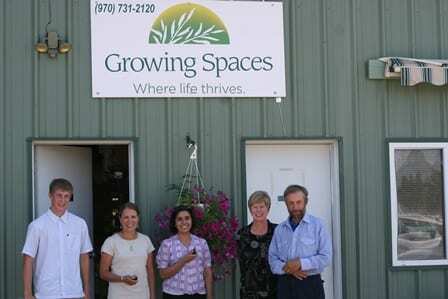 On July 12, 2012 Terra Anderson, Constituent Advocate for Senator Bennet in Durango, Monisha Merchant, the Senator’s Senior Advisor for Business Affairs, and Terra’s intern Ben paid a visit to Growing Spaces to tour our Growing Dome greenhouses. They were on their way to Durango, Colorado for the Southwest Women’s Small Business Conference, where our very own Puja Dhyan Parsons, co-owner and CEO of Growing Spaces, was the keynote speaker. They wanted to see for themselves how our Growing Domes greenhouses operate, learn about the systems that make us a green business and see what makes Growing Spaces one of Colorado’s top companies to watch. 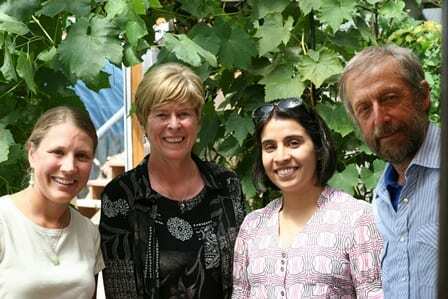 We gave them the full tour including a taste of our grapes and figs, and are so thankful for their interest and support!